We’ve recently experienced our first snowfall in the greater Saint Louis area and all of sudden it feels like the holidays are upon us. Gathering around the Christmas tree or in the family room to share holiday traditions is a wonderful way to make memories. At Sams we want to ensure that those memories are made on spotless like-new carpets, because let’s face it no one wants to sit on a dirty carpet on Christmas morning, or have an unsightly stain or tear in your holiday photos! That’s why now is the perfect time to have Sams take care of cleaning up stains, and repairing tears and ripples in all of your household carpet. Don’t Replace Rippled Carpet – Let Sams Repair It! If you’re looking at your carpet and notice that it’s starting to develop ripples, you’re not alone. In fact, modern carpets are manufactured with materials and backings that are prone to ripples. Most people think that when a carpet starts to ripple that it is time replace it – but that’s just not the case. You can save time and money by calling Sams! In most cases, we can use special tools and techniques to re-stretch your carpet and make it look good as new. Homeowners are often amazed at the results! And the great news is that your carpet will be smooth and ready for you to welcome family and friends to your home for the holidays without having to worry about anyone tripping on those inconvenient ripples. Perhaps you can’t wait to have Aunt Mildred and Uncle Harry staying at your house over the holidays, but the spots and stains on your carpet are keeping you from being as excited as you should be. They may be new, or they could be stubborn stains that you just haven’t been able to beat. Whatever the case, the Sams team of professionals has the knowledge and experience to properly dispose of these offenders. We have techniques and cleaners not available on your store shelves that may take care of your spots and stains. But sometimes a spot won’t be phased by cleaning (think spilled paint or splashed bleach). In this case, we can spot dye or even patch the carpet so it looks as good as new. When we leave, it will be in tip-top shape and you’ll now be proud to welcome Aunt Mildred and Uncle Harry. Carpet Feeling Dinghy? Opt for Carpet Cleaning! 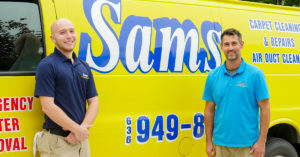 Sams can make your carpets look like new with one visit from the yellow van. We use a state-of-the-art cleaning process to deep clean and restore life into your carpet. 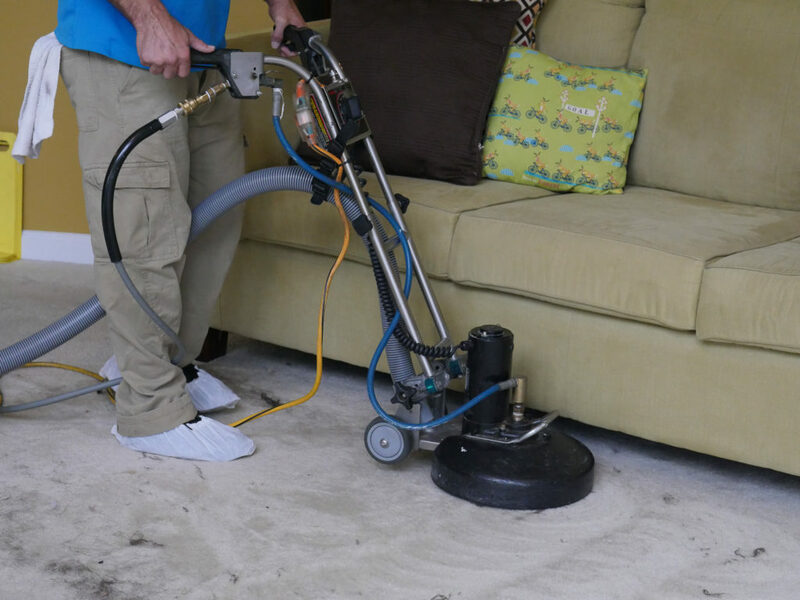 Our equipment is high-powered, allowing us to get more dirt and grime out of your carpets than you ever thought possible – stuff your vacuum can’t even pull out! While we’re in your home, we will carefully remove your furniture, apply corner guards where needed, and get right to work with our truck-mount steam extraction cleaning system. 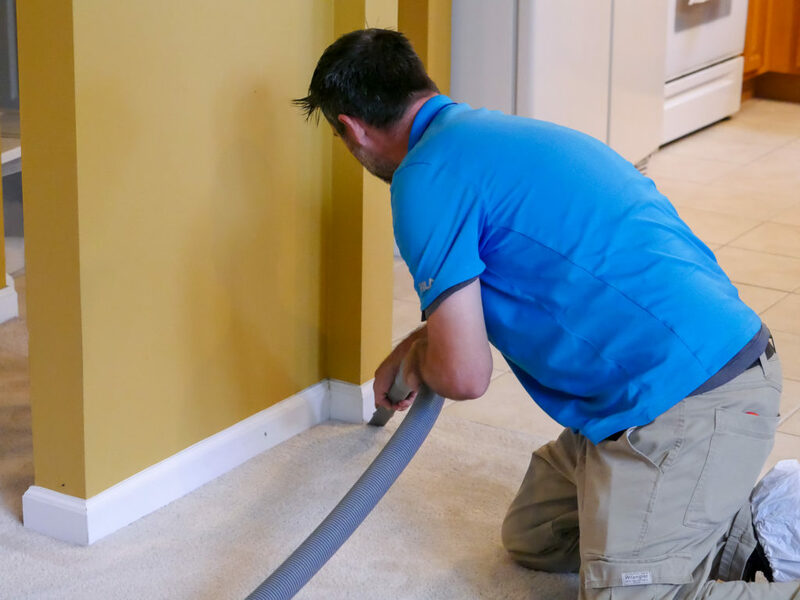 High- traffic areas which are matted and worn will come back to life and carpet will be thoroughly cleaned and ready for all of your entire family to enjoy. Our 8 step process will give your house a fresh feel as you gather to create lasting memories with those you love. At Sams, we love spending time with family and friends, and we would welcome an opportunity to make sure that your home is the perfect place to host your loved ones this season. Give us a call and let us help you make this holiday season the best one yet.